I have been an approved driving instructor for over 20 years. 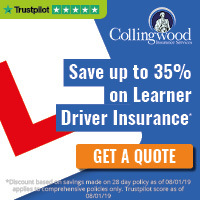 I have worked for both national and local driving schools, and have experience in many different areas of the industry, including manual and automatic tuition, instructor training, mobility training, and training of military cadets. I am easy going, tailor every lesson to my pupil's needs and abilities, and strive to make every lesson enjoyable. I have now focused my business on Automatic driving lessons due to the increasing demand from pupils wanting to learn in an automatic. This seems to be due to the increasing availability and affordability of smaller automatic cars, as well as modern automatics with trip-tronic style gear boxes which have similar control and economy as manual cars, but without the added stress of having to worry about balancing and controlling the clutch pedal. "Hi Elite, I have just passed my practical driving test today and would like to send you a testimonial for my driving instructor, Andy Kirby. Thank you very much for finding me an amazing driving instructor, it has been a pleasure using you!" "Andy is such an amazing driving instructor! He is so friendly and makes the lessons very enjoyable and relaxed yet so professional at the same time. We have had fun and knowledgeable conversations and all my nerves about driving just goes away. I have learnt so much from him and have found his feedback notes at the end of the lessons very helpful, especially with his experience as an ex-driving examiner. He has been amazing at identifying my weakness and bad habits and have helped me so much in fixing these. He has also been so patient when I make stupid mistakes and helps explains to me where I go wrong and therefore helped me focus on these areas. I’m a slow learner and my practical skills aren’t usually that great either and I have always been worried about driving (more worried than when I was doing my university exams! ), but with Andy expertise, patience and guidance, I have become more confident in my driving skills and was over the moon when I passed first time round and will continue on my adventure of continually learning and improving my driving skills! I really appreciate all that Andy has done and would highly recommend him to others!" "Thank you so much Andy!!! I am 40 years old and tried a few times in the past to get my driving licence, but gave up after a few lessons every time. Unfortunately I lost my father in a car accident and was petrified about even being a passenger, and could never envisage myself driving. Andy is very knowledgeable in his field; and many others.. HA!! Lessons felt relaxed but Andy also challenged me when necessary to get me to the required standard. I was able to fit lessons around my schedule and in just a few months I am proud to say I was successful. 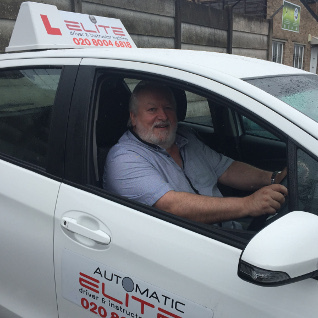 I would highly recommend Andy from Elite Driving School." "I passed my test on Tuesday and was over the moon! Andy is the best instructor I had, I had been through about 3 instructors and none were working. Andy has incredible patience, knowledge and a fab personality and it help so much with my nerves. I am really grateful to Andy for helping reach a milestone. I am going to do pass plus and am looking forward to it. My weekends aren't going to be the same without Andy! Highly recommend Andy." "I passed first time!Just want to say a thank you to Andy Kirby! Good instructor and I would highly recommend. Thank you again." 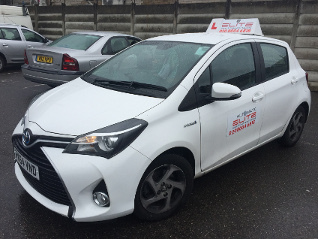 "After taking manual lessons a few years ago, I changed to automatic lessons and was with one instructor for over 6 months and was not progressing at all and picking up bad habits from him which completely lowered my confidence in driving this made me feel worried about booking a test. I luckily found Andy and I learnt so much more than I ever did with my old instructor and made me feel at ease and actually enjoying going to my lessons. 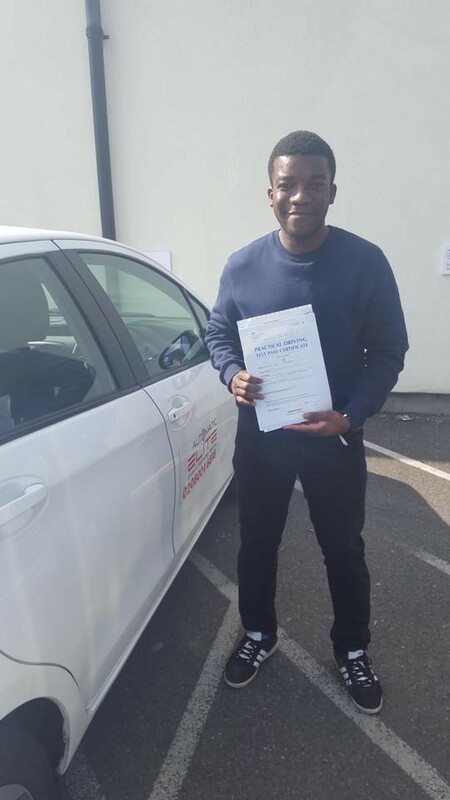 I would definitely recommend Andy, he's a good teacher with a great sense of humour, I passed first time last week with 1 minor, which I am amazed by, all thanks to Andy :)."